Sufix 832 Superline – First Impressions | FISHING FURY - A Fishing Blog with Attitude! 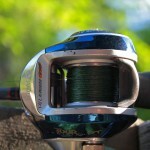 It’s been several years since I have spooled up any of my reels with line other then Power Pro. I was, for lack of a better word, content. I was content with just about every aspect of Power Pro. The problem with being content with anything in life is that you don’t really try anything new. You don’t know what you’re missing. At this this point you are probably wondering what I’m going on about, but its simple, we all need to try new things, especially in the world of fishing. 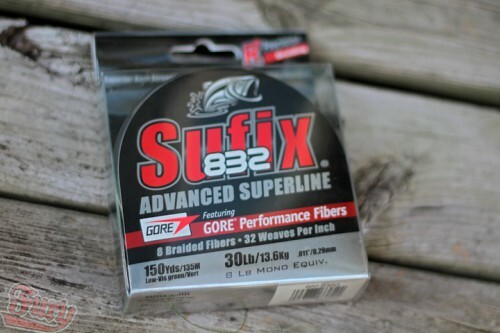 At first glance, Sufix 832 looks almost exactly the same as Power Pro. The both come in moss green, they are both low diameter, the both leave your thumb green after a day of fishing with a baitcaster. So what sets them apart? First I’d like to start by saying I’m no scientist, thats Jonathon’s department, so I’ll just do a quick copy and paste from the Sufix website. That all sounds pretty awesome, and there certainly wasn’t anything comparable written on the Power Pro site about their line. There are really only two parts I’m interested in, increased casting distance and strength. I’m not a finesse fisherman, in fact I’m the complete opposite most of the time. I must admit, I was feeling pretty skeptical as I walked down to the lake with a fresh spool of 832 on my Quantum Tour PT. Could this line really be better then Power Pro? After my first cast it was pretty clear that it was better. Much better. My lure landed miles further then usual. I guess this line won Best New Line ICAST 2010 for a reason! I was blown away at the distance and control I was getting from this line and was genuinely excited about it. Cast after cast, I sent my lure out more then double the distance of the nearby fishermen. To be fair, I was using a heavier lure, but it was still a thing of beauty. I carefully adjusted the cast control, adding even more distance to each cast. I really didn’t think I would ever find a replacement for Power Pro, and sadly I still haven’t. 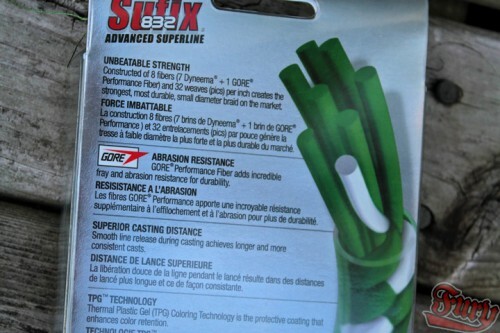 I’ll admit, Sufix 832 is an absolutely incredible superline. It casts incredibly, it’s smooth and feels extremely sensitive. It’s almost the prefect line. I have only one complaint really, and for many of you it’s probably not a deal breaker, but it is for me. If you use a baitcaster and you ever get backlashes, this line is an absolute nightmare to untangle. I was a little overzealous with a couple of casts into the wind and spent the better part of an hour trying to untangle my line before I just decided to call it quits and cut it. I don’t usually get serious backlashes, but if I do, I don’t want to be wasting so much time trying to undo them. Power Pro may not cast as far, but it is significantly easier to untangle and doesn’t cut into your hands as much. If you never get backlashes on your baitcasting reel, you are a liar. 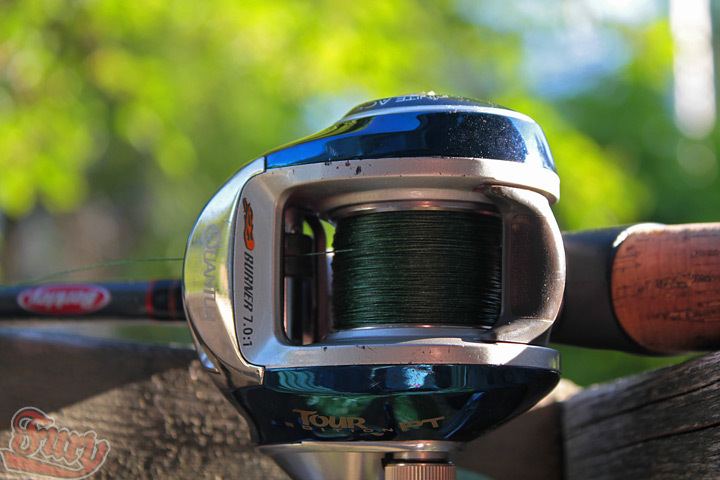 If you use a spinning reel as your primary reel, then this may in fact be the prefect line for you. With that said, we’re not done our search for the prefect all around superline. I’ll be testing out several highly rated superlines over the next few months to see if I’ll ever find a replacement for Power Pro. I recently spooled one of my baitcasters with 832. I haven’t had much of a chance to test it out but I’ll let you know my impression as well. 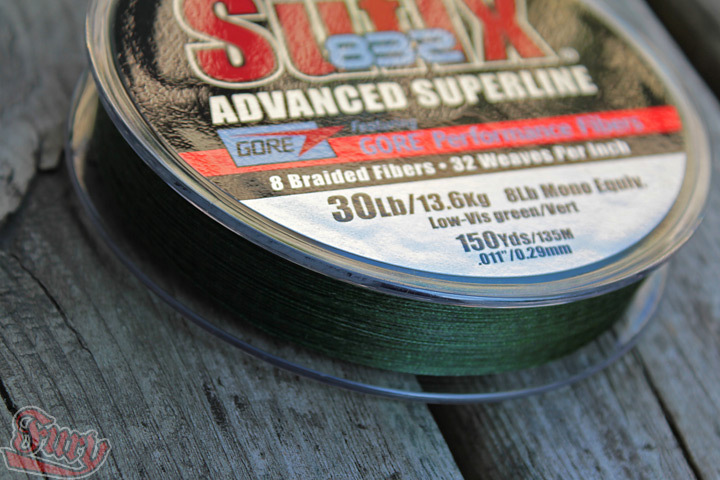 I’ve been looking to buy some of this stuff, but I might wait and put it on my spinning reel instead of my baitcaster..
Do you put this stuff on wet like powerpro? or is it fine to go on dry? I put it on wet. 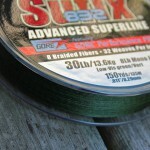 Have been looking for a super line to put on my next spinning reel purchase, looks like I’ll have to give this a try. Good write-up! While I can probably guess, why do you guys put braid on wet? I fished the 832 for the first time this past weekend and had great luck with it. LONG casts from my baitcaster and I had no more trouble getting out my two backlashes than normal with braid. What test were you using? I never go below 30 lb (8 lb diameter) so it is easier to deal with. I’m using 30lb too. Haven’t had an issues since, just a few minor birds nest that came out fairly easily. Maybe I just had bad luck with the mother of all tangles! Currently using FireLine crystal and while I like the feel of it, I’m not really digging the way the line stands out in the water. Someone suggested this stuff because of the green color – I’m going to give it a try. I guess I could always tie on a leader if the line looks too visible.